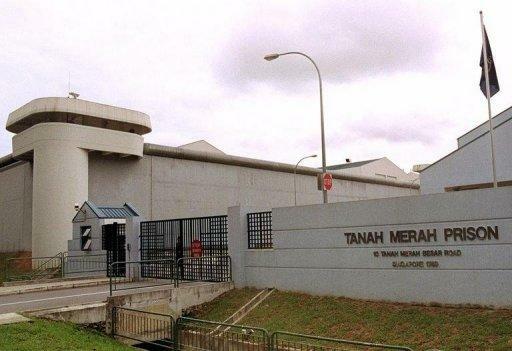 Former political prisoners in Singapore have demanded the abolition of a British colonial law allowing detention without trial after neighbouring Malaysia vowed to repeal similar legislation. In a rare public message, carried by an independent website and reported in pro-government media Tuesday, 16 former detainees held under the Internal Security Act (ISA) said it was time to abolish the controversial law. "Singapore inherited the ISA from Malaysia. This law has been in existence for more than half a century and its impact on society is both crippling and pernicious," the petitioners said. The ISA, first implemented by Britain after World War II to fight communist insurgents in colonies collectively known as Malaya, was retained by Singapore after it became independent from the Malaysian federation in 1965. The ISA has been denounced by critics in both nations as a tool to stifle dissent, but Singapore rejected calls for its abolition after Malaysian Prime Minister Najib Razak announced last week that his government would repeal it. In a statement on Friday, Singapore's Ministry of Home Affairs said the ISA remained "relevant" against threats of subversion, racial and religious extremism, espionage and terrorism. "No person has ever been detained only for their political beliefs," the ministry said. The Singapore petitioners included Chia Thye Poh, who spent 26 years in detention and was one of the world's longest-held political prisoners along with South Africa's democracy icon and former president Nelson Mandela. Chia was a 1960s socialist intellectual and opposition MP who was accused of being a communist subversive, a charge he firmly denied. Seven of the signatories were detained in 1987 for an alleged Marxist conspiracy against the government of Singapore's founding leader Lee Kuan Yew, who was prime minister from 1959 to 1990. Lee, 88, stepped down in May as an adviser to the cabinet of his son, Prime Minister Lee Hsien Loong, following a general election in which the ruling party lost six seats and garnered an all-time low of 60 percent of the vote. Since the campaign for the May polls, government critics have become increasingly bolder in their demands for greater political freedom in Singapore. Last month's presidential election, in which former deputy prime minister Tony Tan won by a slim margin against three rivals with just 35 percent of the vote, was seen as a further sign of public support for reforms. "Singapore has many existing laws that will deal with acts of terrorism," the petitioners said, citing the penal code and laws specifically directed at terrorism, firearms and explosives possession and illicit fund transfers. "These laws provide severe punishments which include death, life imprisonment and caning." There was no immediate reaction from the home ministry to the petition.